I just have to say, this engagement session was such a breath of fresh air for us! This adorable couple knocked it out of the park with their locations and outfits! Ladies, if you are looking for tips on What to Wear to a Beach Engagement Session, here is your visual guide. This photo has a beautiful history in that this is their family’s property that one day they hope to make their home. 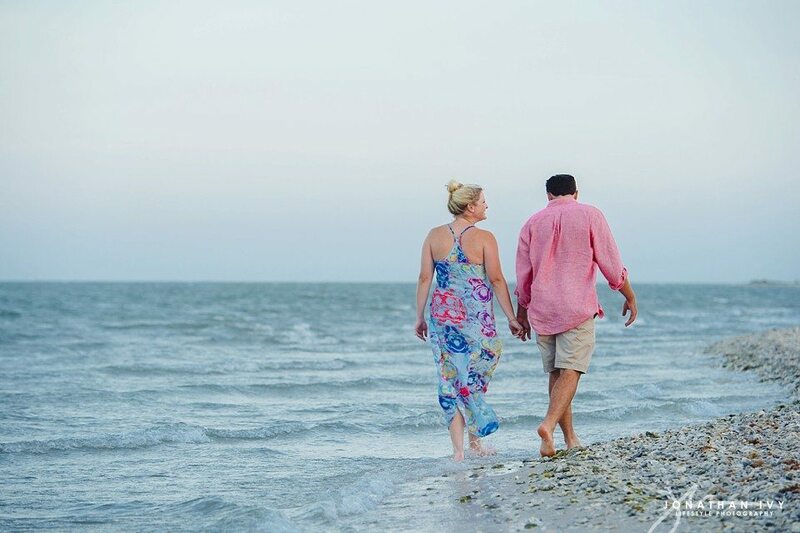 It also happens to be a gorgeous engagement photo shoot location near the beach. Remember me mentioning above how cute they are? Yeah well they know how to have fun anywhere they are. How about a champagne party on the pier! Thank you Rockport for staying consistently beautiful all these years, we adore you!